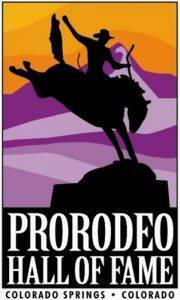 Star Plaudit holds a very unique record in the world of professional rodeo, one that is not likely to ever be duplicated. The sorrel gelding by Oklahoma Star Jr., out of Sunshine Plaudit, won two World Championships in the sport in a single year and contributed to a third, at the age of 12. 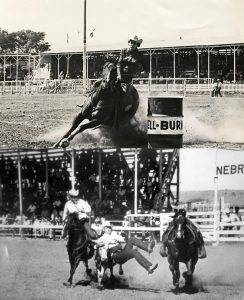 Red, as he was affectionately known, carried his owner Sherry (Combs) Johnson to the GRA world title in the barrel racing and close family friend Tom Nesmith to the RCA world title in the steer wrestling and helped the Oklahoman also claim the RCA All Around championship, all in 1962. Johnson first came to know Red when her husband at the time, Benny Combs, bought the horse in partnership with his brother, Willard. Red was a bulldogging horse and the brothers trained and competed on him for a time before Benny and Sherry bought him. Red was eight at the time and Johnson was in need of a horse to run barrels. Barrel racing seemed to come easy to the gelding and he liked the new challenge. Johnson, a member of the WPRA from Addington, Okla., credits the steer wrestling with making Red a better barrel horse by teaching him to run hard through the pattern. There was no need to correct or tune on the horse as Johnson believed the steer wrestling did it for her. Red was very independent according to Johnson, strictly business and not at all interested in attention from people. When Johnson and Combs divorced, Red became strictly a barrel racing horse owned by Johnson. Their daughter, Becky, competed on Red before he was retired sound at age 18. He passed away a few years later and is buried in Bryan, Texas.